A person’s current Interest inventory is directly related to his or her exposure to work choices and the language of work. Growing the Interest inventory means exploration, discovery and exposure to work opportunities in many growth trends within selected industries. People are the only experts on their own interests. Everyone should repeatedly learn to explore, discover and connect to new work that can grow new careers. This is a recipe you repeat for increasing financial and personal growth for the rest of your life. This process will help you clarify your goals and where you want to go with your career, especially if you are cinsidering a midlife career change. Choose a growth industry that interests you most. Choose work that you would enjoy doing within that industry. It becomes easier as you get more exposure to terms, opportunities and the workplace. Everyone knows intuitively what he or she enjoys most: working with people, things or being creative. People know whether they like new projects, like to join new projects, like working in established projects, finish projects or maintain what is already working. Past decisions to get involved in home and school projects give strong indications of your basic work interests. Your past decision will assist you in finding the trigger words to get you started. Current awareness of interests is closely linked to a person’s natural personality combined with his or her current knowledge built up by previous exposure to knowledge, experiences and the workplace. Exercises that give exposure quickly changes ones expressed interests. Interest cannot be considered on its own, but must be taken in conjunction with the other aspects of the module. (Please refer to the puzzle at the beginning of the Module 1, Unit 1. It also appears in Module 1, Unit 2). Choosing work involves various personal aspects: a person’s interests give some motivation and direction to his or her personality. Interests will also determine the amount of enthusiasm with which one will continue with an activity. It is therefore very important to consider interests when career choices are made throughout one’s working life. Gous and Jacobs (1985:79) define interest as a psychological state of the personality, which creates a tendency, striving or driving-force towards an object, cause, or ideal, which is of importance to the person. Also of importance are the person’s emotions, which can influence the strength of an interest. Interest can also be described as an aspect of the personality, which is directly influenced by its physical, psychological and spiritual constitution. It is obvious that a person’s current health, physical strength and skills influence his or her abilities to do certain work and emotional drive (motivation). These factors along with others integrate to influence a person’s interest and related choices. In order to expand the career seekers’ awareness of interests, you should guide them to use an interest inventory to keep on expanding awareness while they explore and discover more interests and related career choices. Make sure they understand the words and concepts while they complete the tests. Use Google search and Dictionary to establish the meaning of words and concepts. The career seeker’s intuitive feeling, together with current exposure guides the choices to integrate all the factors. Family and friends know much about your responses and behaviours. Always apply the Johari window to structure the sharing of what you have discovered or know, with friends and family who may not yet know. You also explore and discover what others know and you don’t! When answering an interest inventory you should be careful that the answers to the questions do not only focus on your feelings and ambitions within certain areas. The answers should reflect your true interests. The review of past choices of activities and the use of the interest inventory to explore and discover may only give a report of your current interests as you see them at present. It is therefore important to ask other people (such as parents, friends, teachers, etc) to give their evaluation of your interests. The explored and discovered interests will create an awareness of what you would be happy doing and in which area your motivation is likely to be the strongest. It is useful if you can relate your interest to some or other activity, e.g. a love of animals, a tendency to spend your time drawing pictures, etc. Interests seem to develop around the things you are good at and to which you have had exposure. An interest pattern may give an indication of possible work choices leading to careers. It is important to have insight into the requirements of that field of study, e.g. you may love animals and want to become a veterinary surgeon but lack aptitude in the natural sciences. You can still work in the veterinary industry in many other management and support careers. Interests tend to develop with exposure whereas aptitude and other personality characteristics evolve very slowly with practice. It is therefore easier and quicker for you to adapt or change your interests. If you faced the veterinary career problem, as mentioned in the previous paragraph, it may mean you can still work with animals. You just have to make adjustments and find an alternative career while still working with animals. You might even have to look at acquiring gap bridging proficiencies to access the work of your choice. Firstly, spend time with people in the field you want to access. We will use the Internet Career Connection web site as an information and experiential learning site. Ensure you agree on the meaning of words and concepts by using information from an online dictionary and Wikipedia. Make exploration and discovery a lifelong activity! Be the candidate and do your quick Interest inventory awareness exploration and discovery. Use Dictionary and Wikipedia or Google and search extensively. Remember you are exploring and discovering! The information gets us thinking and creates an awareness of where we are. What did you and your friends agree upon? Write down two specific points. Where did you disagree and why? It is normal to agree and disagree since the test is very specific to certain circumstances and cultures, which may differ from yours. South African society is multicultural and thus we must be very good at knowing what we like and what we do not like. Similar to developing skills in soccer or sport through interactive exercises, you develop clarity by sharing your insights with others. Capture the personal experiences, discoveries and answers to the questions in your MiCareer Book. Repeat the web site above as the facilitator, and let a new candidate in the group of three do their quick natural aptitude awareness exploration and discovery. The other one is the observer. The information gets us thinking and creates an awareness of where we are. Capture the personal experiences, discoveries and answers to the questions in your MiCareer Book..
Be the observer and scribe and let a new candidate and facilitator in the group of three do the quick natural aptitude awareness exploration and discovery. The information gets us thinking and creates an awareness of where we are. Observe and act as scribe for the activity and career books. Give structured feedback. (What is feedback? Look it up on Wikipedia and Dictionary. Repeat the candidate, observer and facilitator exercises with the following fun activity. You can share the exercise at home and with friends to grow your insights and experiences. Remember to structure your communication with the concepts from the Johari Window in Tutorial Letter PCAR01V/103/2008. Do the VAK check and become aware of the differences in working and learning techniques. Could you identify and confirm each other’s preferences from your responses and actions, during the above exercises? Awareness of a preference in learning styles is important. You must be aware to adapt and assist people with different styles. Use the same process to bridge gaps. Give an example of where you required a chosen ability or experience and got the knowledge and experiences using the above identified learning trait. You now know how to repeat the activity for the roles of candidate, facilitator and observer. Try using the roles in this activity. Capture the personal experiences and discoveries, and answers to the questions in your MiCareer Book. Use this exercise and many like it as free marketing tools for fun and to grow and mobilise clients for your practice. Facilitating increased exposure through exploration and discovery will expose interests evident in your past choices. Your interests should be aligned with growth opportunities, resources and simple steps to gain access to work opportunities where you can contribute more which coincides with earning more. It will make it easier for you to master a wider variety of knowledge and experiences. Should you not enjoy reading, work with someone who does and then discuss the content with him or her. You can help them verbally and they can help your reading. Always use your natural abilities to assist others with other aptitudes to help them to achieve the same balance as what they give to you. However, for your purpose, the skills can be acquired to access any or most opportunities of your choice. People require regular response to changes in the industry. Repeating the exploration and discovery processes allows people to find new growth careers with ease. Most people will be comfortable to come back to the self-exploration and discovery guides. Although some interests stay with you for most of your life, it is important to realise that they may change with increased exposure, opportunity and access to resources. Interests are never cemented in time. Things that were once a passion may lose their attraction when you get older. It is therefore essential that you think of current growth in your career and earnings and keep on reviewing them. Be very responsive and aware of changes. You will notice a loss of motivation and other signals, such as work becoming an effort instead of fun! When this happens, implement the exploration and networking processes. Think of someone who starts out playing soccer. Later he or she may change from playing to organising soccer or a team, promotion, coaching or administration. The same happens in all industries and sport. People naturally seek new interests as their lives progress. When one considers the career of professional sports people, one realises that they can only take part in competitive sport for a limited time and then naturally move on to the next interests related to the same sport or even new careers. They explore, discover and develop other related interests. The same happens in most careers. 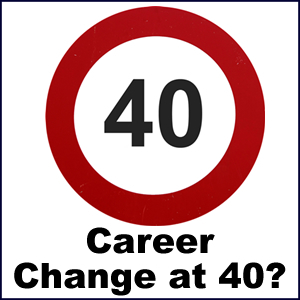 Activity: Find someone who changed career interests and discuss the changes with them. Develop your understanding of how dynamic interests and careers interests really are. The opportunities and types of work are much wider today than ever before and are changing all the time. As more opportunities come to the forefront more opportunities become available. Can you see how this process can be self-propagating up to the point where it can end unemployment? There is therefore work for everyone when they know and acquire competencies to be employable. Careers develop from work. Careers are chosen by consciously choosing your work involvements. Due to the rapid changes and new growth opportunities, very few people end up doing what they studied. The studies are simply a valuable formal entry to the current work place. You will find many interest inventories on the web and locally from job assessment companies. Qualified professionals use models like the Human Science Research Council’s 19 Field Interest Inventory (19FII). This instrument is widely used (but only by qualified people who are registered with the South African Medical and Dental Council) to determine a person’s interest fields. Gous and Jacobs (1985:81-84) use the 19 Field Interest Inventory and apply it to the four main areas of study, namely the Humanities, the Natural Sciences, the Biological Sciences and the Commercial Sciences. They also concentrate on technical directions and outdoor life. The purpose of this classification is to make it easier to relate interests to the same three main areas that were identified for classification of aptitudes. As a career guide practitioner, you drive exploration and discovery as a lifelong process. Exploration and discovery is best served by using web based low cost and free tests. It brings your client international, national and local exposure and the discovery of work based in wider geographic areas, matched to specific interests. Often school leavers show interests based upon subjects taught by their best teachers. Connect him or her with what they really enjoy about the subject rather than the subject itself. Our potential soccer player enjoyed physical games and tasks. The career candidate must then explore and discover as widely as possible. They must meet people in the various industries to gain experience. Only the career candidate can choose in which industry he or she would like to get involved. The career guide can only guide the exploration and discovery processes. Use the web based processes to explore, discover, and widen exposure. Connect the career seeker with their interest and industry of choice, and expand their choices. Should the career seeker be very uncertain in their choice, grow their certainty with web exploration and discovery techniques. 4.6 WHEN IS MY INTEREST A “REAL” INTEREST? We discuss the process to help verify real interest. A true test is to experience the interest area in real life. Please refer to networking in PCAR01V/102/2008 and connect the client to real exposures of their expressed interests. People are often attracted to one aspect of a career e.g. if a person likes animals and outdoor life as a hobby, a career such as farming, veterinary science or nature conservation may sound ideal. These careers take on a different perspective as a full-time, lifelong occupation. One has to try to distinguish between those interests that make satisfying hobbies and those which offer good career possibilities. Be careful not to be prejudiced when judging a specific career. Most young people fear having to sit behind a desk. An active, preferably adventurous career is much more appealing. What people do not realise is that many careers develop in such a way that they will end up behind a desk for at least part of the time. For example, a good doctor could become the superintendent of a hospital; a geologist may become a mine manager; an electrician may end up as a works manager of a big plant. As people are settled in their careers and grow in confidence, they become better prepared to take up leadership or managerial positions. Sometimes as they climb the career ladder, other needs and interests develop. For example, an engineer might end up doing more management than engineering after a few years. Thus, he or she needs managerial skills and possibly will be interested in acquiring them. Take your own areas of interests and apply the questions below to your own situation. Determine for yourself which your real interests are and which might just be of a passing nature. How long have I been interested in this activity? Have I been overcome by the glamour of the activity? What are the physical and academic demands involved in the specific activity? Have I previously experienced intellectual problems with similar activities? Am I really motivated to undertake this activity and succeed with it? Can I feel at home with the environment or culture where I may eventually find myself? Is this interest in line with my long-term planning for my future? Do my friends/parents/teachers see this interest reflected in my life? How many interests have I been exposed to? Verify the interest and the growth with the exploration and discovery exercises on the Internet. Ask at least two people in your family or among your friends the above questions. Capture the personal experiences and discoveries, and answers to the questions in your MiCareer Book. It is very important to be honest with yourself about how you feel about a certain activity, matter or subject when trying to establish your real interest(s). It is also true that a person’s interest pattern is not static and may change with learning and experience. This is one of the reasons why we speak of a career path. Not only does the individual change, but also the circumstances, the environment and society. Moreover, technological advances also open up new possibilities. Carefully choose the interests you want to develop further. Summarize the interests in your MiCareerBook. Remember to state why you chose the particular interests. In future, you will help the career seeker (Your client) to explore and discover and apply their interests. The career seeker will choose interests they want to develop and implement an access plan which you will develop during Module 4.